The final weekend of the Intel Extreme Masters in Katowice, Poland is upon us. 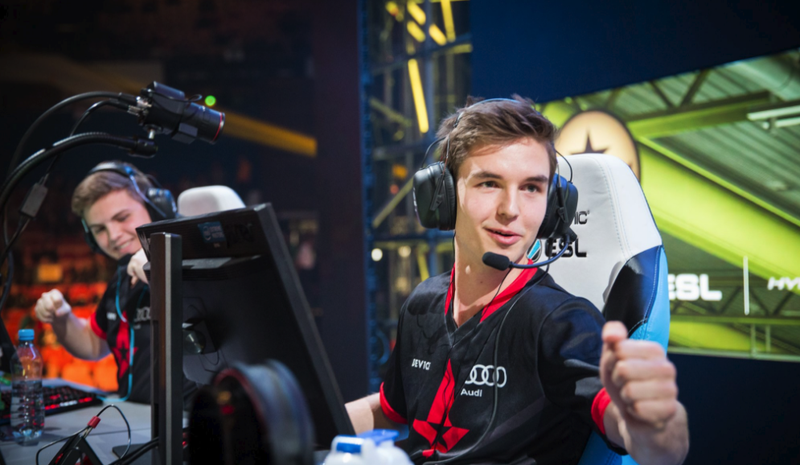 Don’t miss as Astralis look to continue as the best team in Counter-Strike and the best teams clash from across the world in Heroes of the Storm and StarCraft II. After falling to FaZe Clan in overtime tie-breakers during the group stage, Astralis will have a chance to get revenge in the best-of-five grand finals going down Sunday at 12:30PM EST. First place will take home $100,ooo of the prize pool with the outcome also determining whether Astralis will remain king of the hill or be unseated by rival European powerhouse FaZe. You can watch the grand finals here. The Western Clash for Blizzard’s MOBA is also going on this weekend with eight teams competing over a $100,000 prize pool in a double elimination bracket. Europe’s Misfits come to the tournament with a perfect 7-0 record from the regular season and have currently landed themselves a spot in round three of the winner’s bracket. Matches will conclude today with Team Dignitas vs. Tempo Storm at 1:20PM EST before resuming again tomorrow at 6:00AM EST. The grand finals are scheduled for 1:00PM Sunday and can be streamed live here. Katowice is also hosting the IEM Season XI World Championship for StarCraft II this weekend. The quarterfinals are currently stacked with the likes of INnoVation, Dark, ByuN and Stats. Finland’s Serral remains the only non-South Korean talent left with a shot at going all the way. The winner will walk away with $250,000 in prize money and a spot at the global championship at BlizzCon later this year. GuMiho will face TY at 12:30PM EST, followed by Serral and Dark at 2:00PM EST and ByuN and Stats at 3:30PM EST. The grand finals are schedule for tomorrow morning at 9:45AM EST. You can watch those games here. After Flash Wolves took down G2 Esports at the IEM League finals, it’s back to regular play during the spring season across the globe beginning with ROCCAT and Unicorns of Love at 1:00PM in Europe. Meanwhile North American play will start today at 3:00PM with Echo Fox vs. Cloud9 and FlyQuest vs. Team Envy and resume Sunday at the same time with another set of matches. The week in the South Korean LCK will end tomorrow morning at 3:00AM with Sk Telecom T1 vs. kt Rolster followed by Afreeca Freecs vs. Kongdoo Monster at 6:00AM EST, while in China it’s Game Talents vs. LGD Gaming at 2:00AM EST Sunday morning followed by rivalry showdown Edward Gaming vs. Royal Never Give Up at 5:00AM EST. Canada East Championships 4 is this weekend, meaning you’ll be able to get your Street Fighter V fix in addition to competition in fighting games like Tekken 7, Marvel vs. Capcom 3, and Guilty Gear Xrd Revelator. Play is ongoing throughout the day in Toronto, with Top 8 play most likely going down beginning in the early evening. You can stream the event live here with an alternate stream available here. With Frostbite 2017 behind us, it’s onward to the spring 2017 Smash Summit featuring Smash Bros. Melee. Play began on Thursday with group stage matches resuming today. The singles bracket will start tomorrow at 11:30AM EST with Top 8 play scheduled for 4:00PM EST. You can watch those matches here. The PG Key to 2GGC: Civil War tournament event for Smash Bros. Wii U also begins Sunday online, which you can check out here. The spring split for Smite is also still ongoing ahead of the SMITE Masters 2017 scheduled for late April. Play concludes for the week starting today with CycloneGG vs. NRG eSports at 1:00PM and Sunday at the same time with In Memory of Gabe vs. Team Eager. Matches on both days will go through 7:00PM EST. You can stream all of them live right here. The last week of open qualifiers for the Rocket League Championship Series spring season conclude this weekend. You can watch the action live here.